Below, we outline five ways to reduce solar mounting system manufacturing costs. 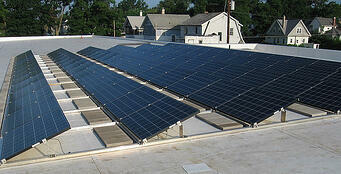 Solar panels are becoming easier and more cost-effective to produce. Reduce costs associated with the entire system by zeroing in on the mounting system’s design and fabrication. Use computer modeling, proactive part analysis, Finite Element Analysis (a mathematical technique for analyzing stress) and conceptual design to analyze the current components and experiment with new designs. Specifically, aim to simplify the design, which often reduces fabrication and assembly costs. Find out if new materials are available that weren’t offered when your mounting system was first produced. High-strength steels, in particular, can allow you to drop gauge and maintain structural integrity. The reduction in content and weight can be significant enough to reduce material, inventory and shipping expenses. If human labor is still part of your assembly process, consider automation. One Hynes Industries customer successfully increased output by eliminating human intervention. Extruding and threading holes were done through in-line processing, which reduced costs and lead times. 4. Adopt a multi-national strategy. Another cost reduction strategy is to configure mounting system design and production around several market standards. One Hynes customer found success with this approach. It conformed fabrication processes to the requirements set forth in the feed-in tariff (FITs). The company also partnered with U.S.- and Canada-based suppliers: Hynes and Samco Solar. As a result, the company incurred only one tooling charge to make the desired shapes for the mounting system. Then, no matter which country the job was awarded in, the tooling could be shipped to the proper location and run on identical equipment possessed by both companies. This significantly reduced tooling costs and expanded the company’s market. 5. Achieve economies of scale. Make sure production processes fit your volume requirements. Press braking and stamping can accommodate low-volume production, but these processes become wildly inefficient when scaled. In-line processing methods such as roll forming can form and punch coil-fed material in continuous succession. The efficient forming operation can produce identical parts of consistent quality even at high volumes. This translates into minimal human labor and economies of scale. As the solar industry continues to see steady growth and adoption, manufacturers should invest in low cost, highly scalable solutions. To learn more about how Hynes has helped solar mounting manufacturers solve their fabrication problems, read our case studies.